Driving an American made pickup truck can make anyone feel powerfully equipped to conquer whatever life throws their way. At DePaula Chevrolet here in Albany, NY, we offer a great selection of quality used trucks that can help you reach your personal, professional, and performance goals. If you are in the market for a new pickup, we invite you to explore the many benefits that purchasing a pre-owned truck can afford you. Here at DePaula Chevrolet, we are often visited by customers looking to save money by purchasing a quality used truck. We love helping all of our customers save money and drive home in a reliable vehicle, but we especially enjoy working with drivers who are in need of a pre-owned pickup. Buying used offers plenty of perks regardless of what kind of car you are buying, but the benefits of purchasing used pickup trucks seem to exceed all other vehicle categories. If you are on the fence between buying a brand new pickup, or a used truck, we invite you to explore five of the reasons why purchasing a used truck from DePaula Chevrolet is a decision that you can make with complete confidence. Save Money – Bottom line, when you purchase a used pickup, you will be saving yourself truckloads of money. As punny as we may be, the savings you will experience with a pre-owned pickup are no laughing matter. On average, drivers can expect to save between $3,000-$10,000 depending on the year and mileage of the truck in question. Get More of Everything – Right alongside of saving money off of the initial sticker price, truck drivers who buy used will also get a lot more of everything else, for a lot less. From included amenities, upgraded performance enhancements, and convenience options, used pickups include everything that the original owner paid a premium to get. Get more out of everything in your pickup by purchasing a reliable used truck from DePaula. Buy with Confidence – DePaula Chevrolet doesn’t just sell any old truck that we can get our hands on. Rather, we take our time to inspect each of the pre-owned pickups we sell, prior to ever putting them on our lot. We look at the vehicle’s past history, whether it was properly maintained by its previous owner, and if it was ever involved in a collision. After it passes our rigorous inspection phase, DePaula Chevrolet offers it for sale at an unbeatable price. When you leave with your pre-owned truck from DePaula, you will drive home knowing that you bought a reliable pickup that will provide you with years of dependability. Worry Less – A pickup truck is often used in extreme situations, especially if you are buying a truck for work purposes. It can be rather unnerving to take a pristine, straight off the assembly line 2017 Chevy Silverado onto a construction job site for the first time. When you buy a pickup, you need it to perform in all circumstances, terrain, and weather. A pre-owned truck has already been around the block, which makes it a little easier to take it on the muddy job site for the first time, and every time thereafter. That brand new truck might smell nice on the inside, but is that new car smell really worth the worry you will experience every time you need to use it for its intended purpose? At DePaula Chevrolet, we honestly don’t think that it is. Performance You Require – Buying a new pickup from a dealer can be expensive, even if that starting MSRP seems affordable. As soon as you begin to add the performance enhancements and upgrades you require from your truck, that once-affordable number is now so inflated that if you knew any better, you might think it will actually pop right off the computer screen. Just as drivers are able to get more amenities for less when they purchase a used truck, the same principle applies for power and performance. You shouldn’t have to settle for a truck that won’t be able to keep up with your work demands simply because of that inflated new vehicle price tag. At DePaula Chevrolet, our selection of performance-ready pickups is extensive, with plenty of options to choose from that fit comfortably within your budget. If you are in the market for a quality pickup truck, don’t limit your search by only shopping for new models. At DePaula Chevrolet, we have some of the best used pickup trucks that you will find on the East Coast. Even if you can afford to purchase a fully-loaded brand new pickup truck, it is still wise to consider the savings that a quality pre-owned truck from DePaula Chevrolet can offer. The thousands of dollars that you will save can be used in other areas of your life, or even to further enhance your new-to-you pickup truck from DePaula Chevrolet. Every vehicle that we sell at here at DePaula is one that we would be proud to purchase ourselves. Each and every one of our used trucks was selected due to its outstanding condition and like-new appearance. Some of the trucks we offer go a step beyond our own critique, and have passed the rigorous inspection and testing that is required in order to be named a Certified Pre-Owned Chevrolet Pickup. These trucks carry with them a manufacturer’s warranty, and enhanced peace of mind. While most of our pickups are Certified Pre-Owned Chevrolet trucks, DePaula Chevrolet also offers options from other automotive brands. Other nameplates that are frequently listed in our inventory of high quality pre-owned trucks, include Dodge Ram 1500, GMC Sierra, Toyota Tacoma, and Ford F-Series models. These are just a sampling of the dozens of pickup trucks that we may currently have in stock, have had in our inventory in the past, and will likely offer again in the future. 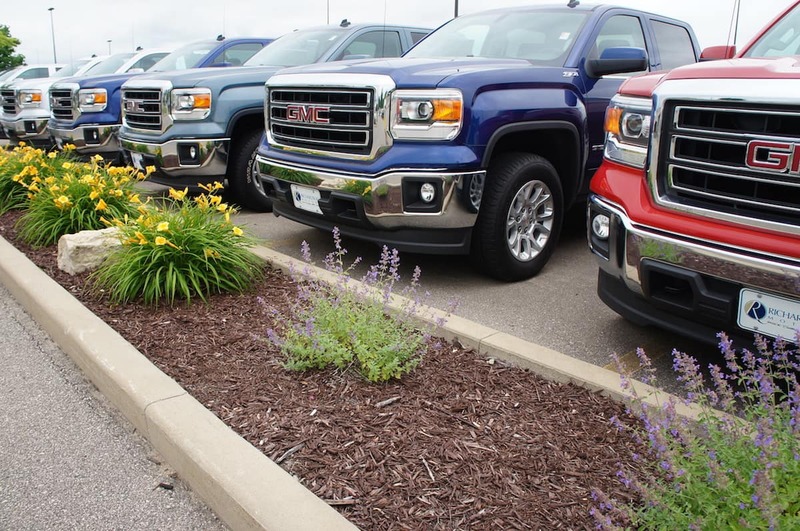 Each of these pre-owned trucks were chosen by our expert staff for their reliability, clean history, and dependability. Here at DePaula Chevrolet, our commitment to providing our customers with the highest quality pre-owned cars, trucks, and SUVs, is simply unparalleled. We strive to stand out from all other used car lots, not just here in Albany, NY, but around the country. We are out to redefine the used car buying experience, and while we know it will take some time, we are proud of the steps we have been able to take so far. If you are in the market for a high quality pre-owned vehicle, don’t trust your hard earned money to just any roadside dealership. Choose where you will buy your next pre-owned car, truck, or SUV based on a dealership’s reputation and commitment to its customers. Here at DePaula Chevrolet, we are proud to be a staple here in the great city of Albany, and will continue to work hard in order to provide area residents with exceptional used vehicles at unbeatable prices. Whether you are in the market for a quality pre-owned pickup truck, a commuter car, or a family friendly SUV, DePaula Chevrolet would be honored to help you find exactly what you are looking for.